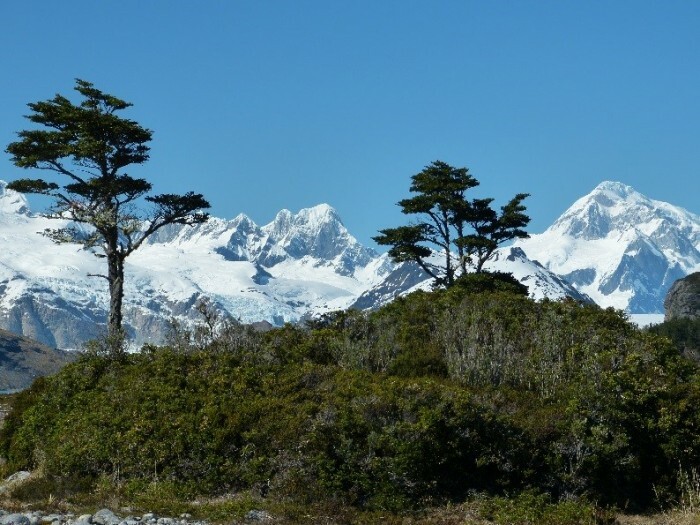 LATAM Airlines, the largest inter and intra-South American airline, is the main sponsor of the FAM trip to the “bottom of the world”—Tierra del Fuego/Patagonia. 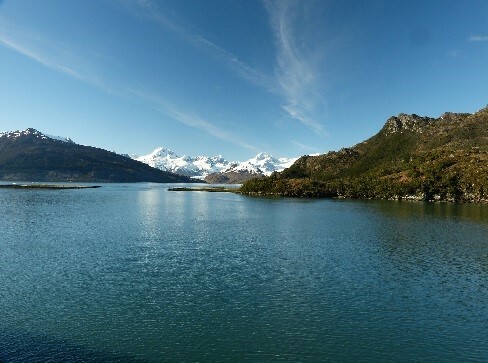 Along with exposing the participants to LATAM’s excellent service, it also showcases the spectacular scenery throughout a rugged and beautiful part of the world that many have never seen. To begin the experience, we had access to the One World lounge in Los Angeles. With an evening departure, like so many other international flights, there were a lot of people in the spacious LAX facility but there was still plenty of room for all. The food and drink were all complementary and included standard dinner fare. At the gate, a small but effective detail was evident upon boarding. The premium classes lines were separated completely from the economy lines so there was no crowding or confusion as to where one should be. Once on board, the 787, the flight crew was very congenial, and the business class seating was in a two, two, two configuration. I considered this an upgrade from the British Airways/American layout which include read facing seats. The seats were spacious enough and the lie flat position was excellent. I slept comfortably (even at 6 ft. 1 in). Both dinner and breakfast were fairly normal airline food choices and the wine was Chilean which is a plus. The Santiago customs and immigration process was simple and there were clear signs along with personnel there to guide people through the process. 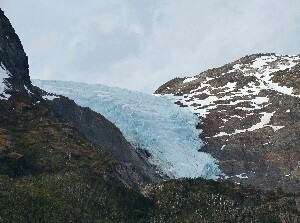 The ground operator in Chile for this trip was Turavion. Our English-speaking guide was excellent like so many that you find in foreign countries. We did have a modified city tour in the afternoon but it was enough to see the highlights. Our hotel was in the Lastarria district of the city which is the trendiest part of town. The Cumbres de Lastarria was our hotel for the night. Although the interior of the lobby and restaurant were reminiscent of the Arizona Biltmore in terms of stone work, the rooms were more traditional and what could be considered 4-star calibre. We were hosted for dinner by the owner of the Lastarria hotel. This unique property is a converted residence built in the 1800s. One of its claims to fame is having the first elevator in Santiago….it is still in operation at the hotel today. Our dinner was worthy of recommendation in two ways: The rooftop location provided a spectacular view and the food was superb (we had samples of almost everything on the menu). 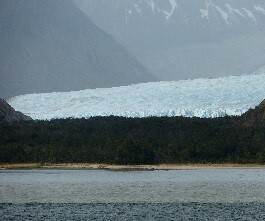 After a 4:00 am wake up call we were off to the airport for a 3-hour LATAM flight south to Punta Arenas. The flight was full but comfortable and with that early wake up call, it was easy to sleep at least part of the way. The local Turavion personnel gave us a leisurely walking tour of the town. 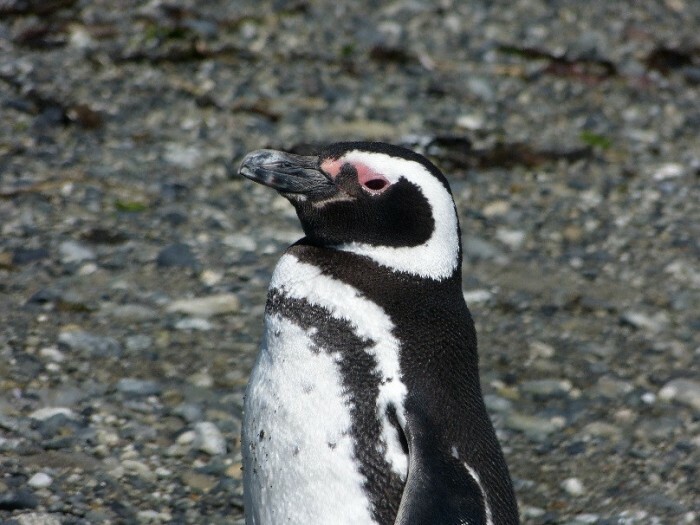 Punta Arenas has a population of about 130,000 so the downtown area is not too extensive. Probably the most distinctive feature of the town is the cemetery which is impressive for its mausoleums and uniquely trimmed trees. We also did do a couple of quick hotel visits before boarding our ship. The Cabo de Hornos hotel, which is right on the town square, is the best hotel property in town so it is recommended for any short stay that might be required. The other hotel that we checked out was La Yegua Loca (The Crazy Mare). This is a boutique hotel with only eight rooms, all decorated differently. Its claim to “fame” is that it sits on a hillside overlooking the city, the port, and the ocean. A small glass enclosed bar/restaurant provides great views of everything below. 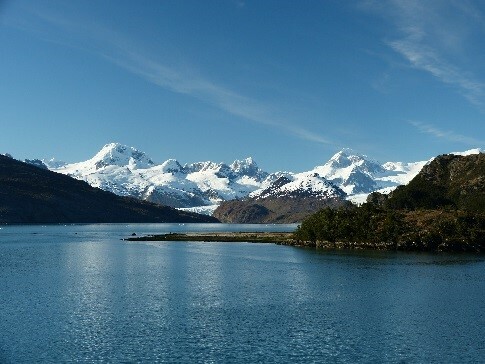 Our exploration cruise on the Stella Australis would take us from Punta Arenas in Chile through the archipelago of islands and fjords at the bottom of South America and over to Ushuaia, Argentina—the southernmost city in the world. 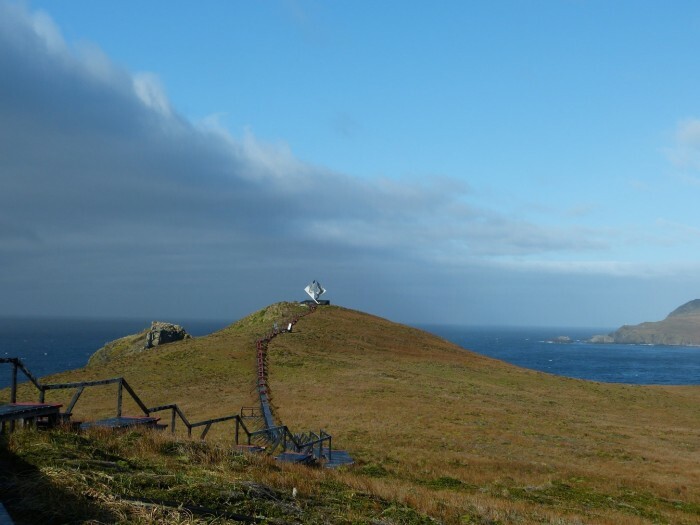 On the way, we would stop at Cape Horn, the island that sailors consider the true bottom of the world. First, however, it’s worthwhile to provide a general description of the ship and onboard experience. 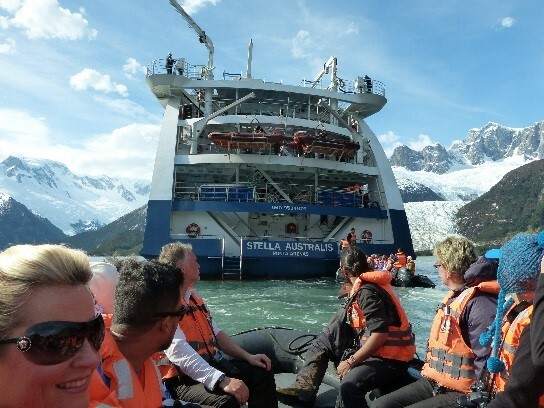 The Stella A. is a fairly new ship (built in 2010) and was built with the latest technology to manage the climate and waters of the Southern Ocean. 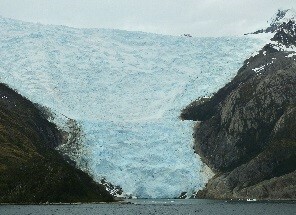 The ship is geared for exploration and has been used by National Geographic. To that end, it accommodates several zodiac rubber inflatable boats, its hull only goes 11 feet below the water line to allow access to shallow waters, and windows in all cabins are oversized for maximum viewing possibilities. 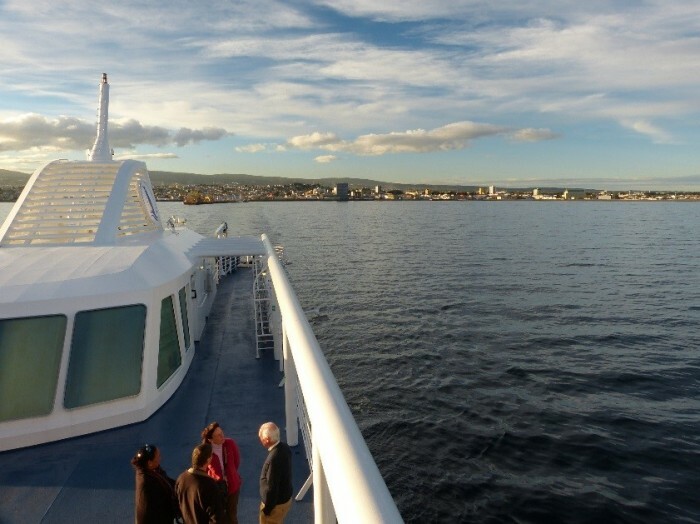 With only 100 cabins, this is small ship cruising for sure. For passengers, the shipboard activities are minimal but with the daily included excursions and meals, there’s really no need for them. The lounges are the de facto meeting places to hang out after excursions and after dinner. It should be noted that the intimacy of the ship lends it self to the passengers getting connected with the Stella Australis onboard staff—and they are great. Engagement with the crew automatically enhances the experience and I can’t say enough positive things about them. 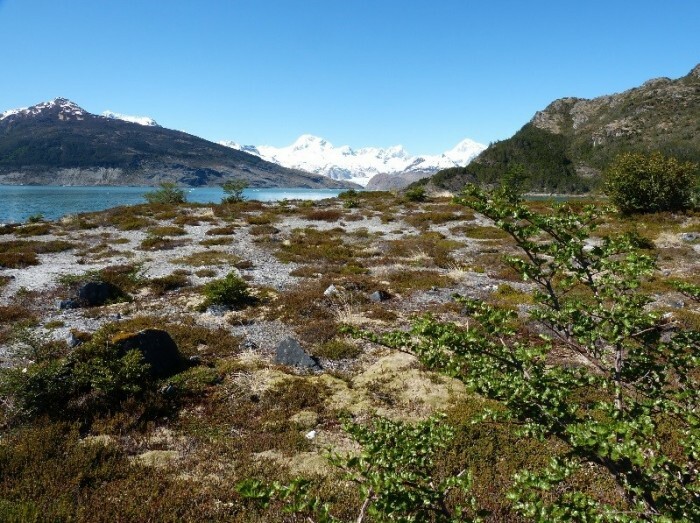 Aside from being multi-lingual, they’re all extremely knowledgeable about the surrounding area and you can tell that they are all passionate about sharing as much as they can about Tierra del Fuego. They’re a gregarious group of staff members that will leave you feeling great about the whole experience. 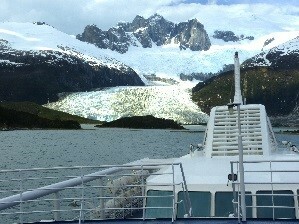 Departure from Punta Arenas is at approximately 6pm and, after a welcoming toast and introduction of captain and crew, the ship departs for one of the remotest corners of planet Earth. 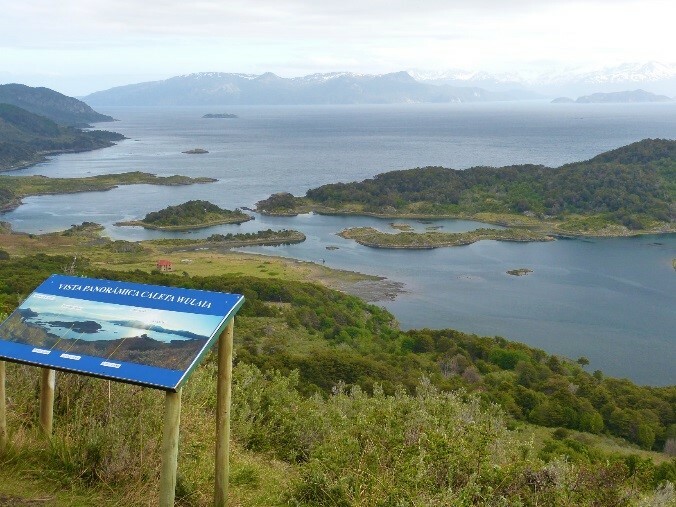 During the night we cross the Strait of Magellan and the next day, our daily excursions begin. 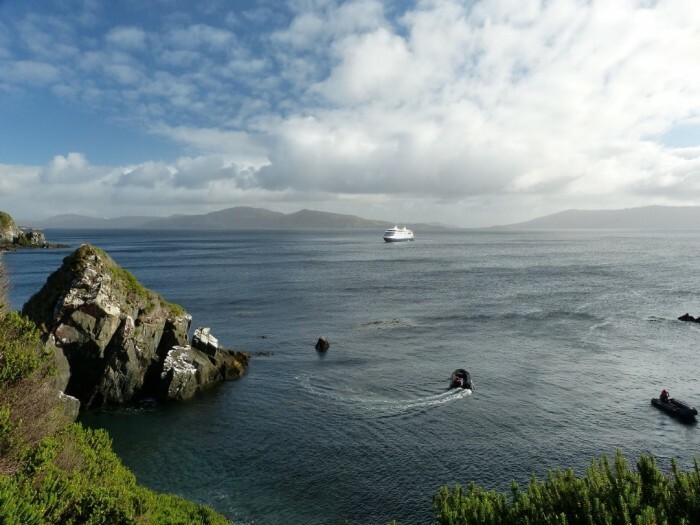 Leaving our Ainsworth Bay tour behind, we sail west along the sound to the Tucker Islets. 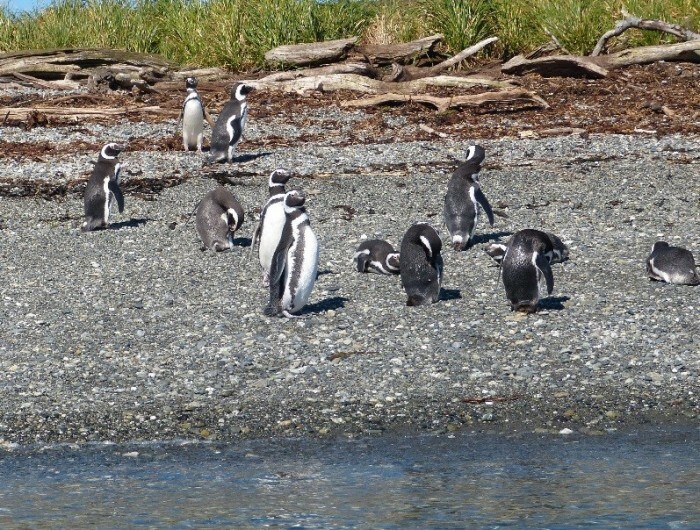 After lunch, we board the Zodiacs again for a close-up view of the Magellan penguins that inhabit the tiny islands. More than 4,000 penguins use Tucker as a place to nest, give birth and nurture their chicks. 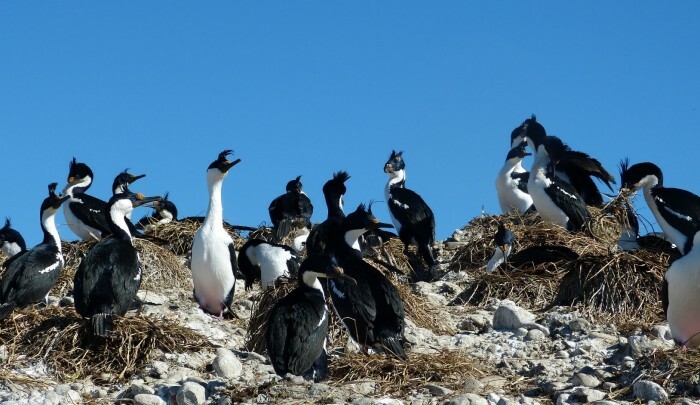 Many other bird species also frequent the area including king cormorants, oystercatchers, Chilean skuas, kelp geese, dolphin gulls, eagles and even the occasional Andean condor. 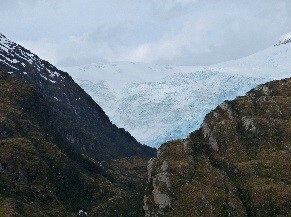 In September and April — when the penguins live elsewhere — this excursion is replaced by a short walk to a glacier at nearby stunning Brookes Bay. 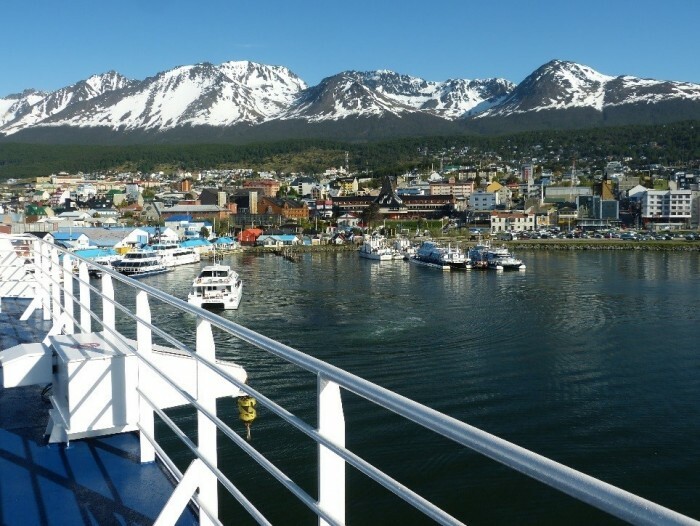 Ushuaia, Argentina is synonymous with adventure and its location exudes that characterization. With the harbor on one side and the snow-capped mountains on the other, it is reminiscent of a ski town on the ocean. It’s a bustling little town of 65,000 where adventurers get themselves outfitted to go climbing, hiking, kayaking, or any number of other outdoor activities. It has its share of restaurants, bars, night clubs, and even a Hard Rock Café. After half a day of shopping and lunch, it was off to the modern Ushuaia airport for the 3 hour flight to our last stop; Buenos Aires. As usual the LATAM experience at the airports and in-flight, was all seamless (even for English speakers). 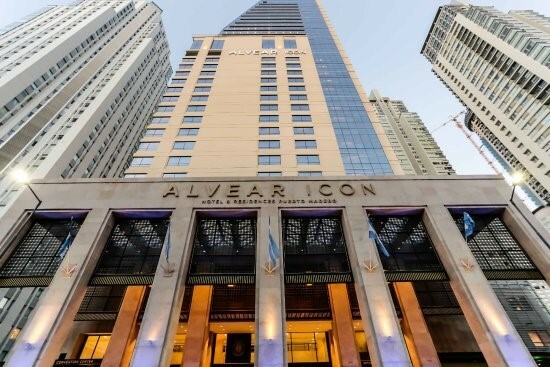 One afternoon and evening was all the time we had in Buenos Aires wo we took advantage: Our hotel was the Alvear Icon which was beautiful. It’s located in the Puerto Madero area which is an exclusive neighbourhood in the city. 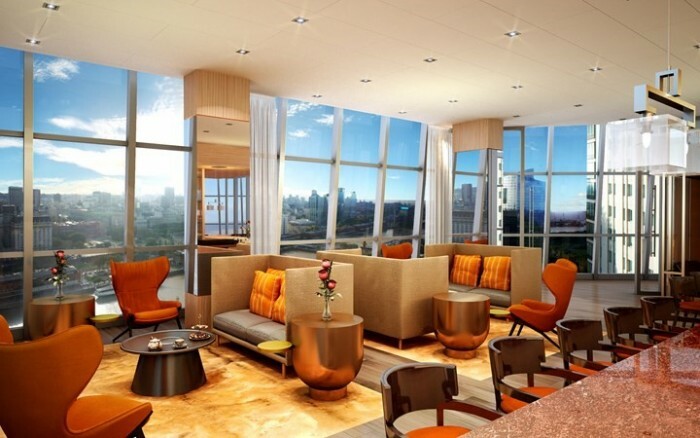 It’s a beautiful modern 5-star hotel, well-suited for business travelers or upper end leisure vacationers. Our agenda that night took us out to the famous Carlos Gardel Tango Show. We were fortunate to attend the dinner show which provided the renowned Argentinian beef. The steaks were delicious and the Tango show afterwards was the best there is in Buenos Aires; a great way to close out a trip to the “bottom of the world”. LATAM flies back to Los Angeles with an intermediate stop in Lima and, again, it was a smooth, comfortable trip in business class back to the U.S. Back at LAX customs, it’s always nice to have Global Entry to get you through immediately……I recommend it. 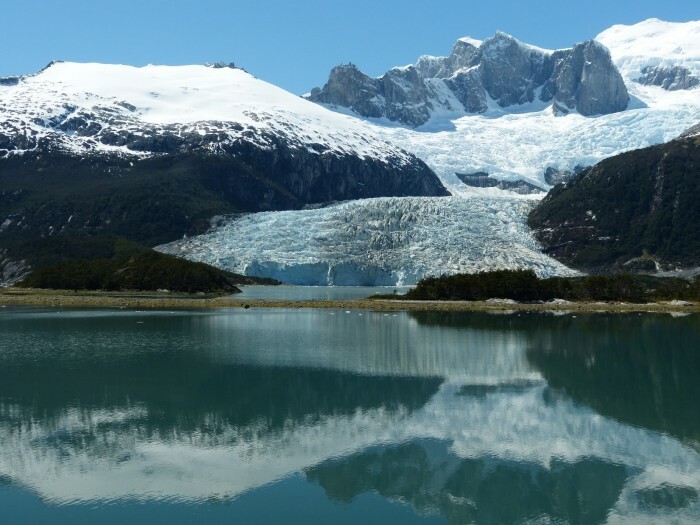 As you can tell by the description of the itinerary and daily excursions, the Punta Arenas-Ushuaia cruise is filled with adventurous locations, tremendous land and sea scapes, and an unforgettable educational experience. Couple all of that with comfortable cabins, good (and plentiful) food, and a fully open bar for the duration, and you have the kind of trip that leaves you completely satisfied. So, if you’re in the market for spectacular scenery, a bit of adventure, and an interest in far off places, this trip is for you. 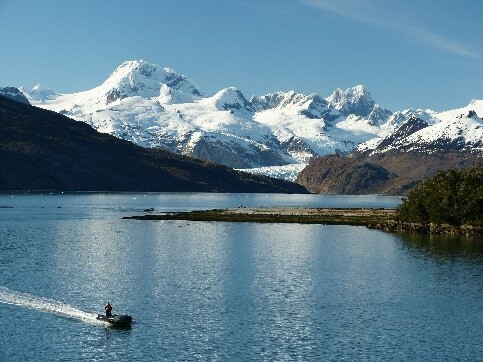 Anyone who has cruised Alaska and enjoyed it will certainly want to come down to the bottom of the world to see its fjords, snow-capped mountains, rugged landscapes, glaciers, and indigenous animal life. LATAM airlines, the leading South American airline, can handle all the U.S. to So. America flying along with flights to/from embarkation and disembarkation points. On the cruise side of things, the Australis cruise company is the only line that provides the kind of itinerary I’ve described. 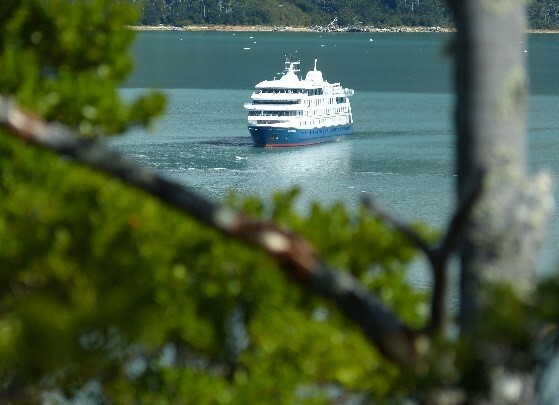 Their 3-4 day route takes you through islands and fjords where there is literally no other sign of civilization. In that sense, it’s a uniquely beautiful experience. Contact Carefree Vacations at 1.800.CONFIRM (266.3476) for information on your next adventure to South America. This entry was posted on Thursday, December 28th, 2017 at 9:15 am	and is filed under Adventure, Argentina, Destination, Travel Agent, Travel Type. You can follow any responses to this entry through the RSS 2.0 feed.